I have always wanted to make chocolate and I always thought it's really hard to get the chocolate right. So, I thought I will give it a try this time and I'm going to make a heart shape chocolate for my beloved. 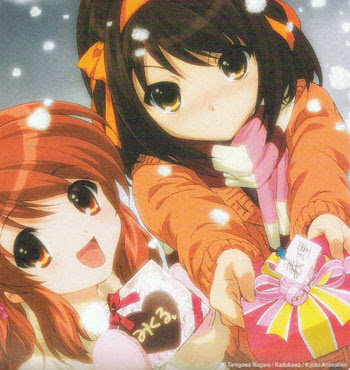 Valentine's Day is celebrated in an interesting manner on two different dates in the country of Japan. On February 14, female present gifts to their boyfriends or any man close to them. The favor is returned to ladies on the White Day celebrated on March 14 when men pamper women who gave them gifts a month before on Valentines Day. The recipe that I've got online is pretty easy! put in colouring and mix it up. pour it on top of the harden choc, spread it out, leave it in the fridge for 5 minutes then melt the dark choc, 2 drops of peppermint essence, spread it out on top of the white choc. Cool in the fridge for another 10 minutes. Take it out, cut it into shapes! My first attempt of heart shape peppermint chocolate! I did flowers and choc nuts too! The reason why I make those is to used up all the remaining pieces of the chocolate bits after you cut out the shapes. You can melt the choc all together again and make the milk choc cutout flowers. Then melt the rest of them to make chocolate buttons and top with crushed n sugared peanuts! Tadaaaaaa!!! My Valentines Chocs for Joe! In a nice box!! I put the heart shape choc into individual cone sleeve, so that it wont stick onto each other. Happy Valentines Day to everyone. Wish you have a wonderful Chinese New Year too! F: I GIVE YOU FLOWER SHAPE WAN K.